What disciplines count as social sciences? Plus any course designated as a Social Science by the university in which you completed your undergraduate degree. I don’t know if the course I have completed meets the half-credit course research requirement? I completed a course in research methodology; however, it is not listed on the Factor-Inwentash Faculty of Social Work website’s approved listing. How can I find out if the course will be acceptable? You can submit an electronic version of the course outline and required reading list to: admissions.fsw@utoronto.ca. The course information will be reviewed by the Associate Dean, Academic. I will complete all courses in Summer and the convocation ceremony is in the Fall. Can I still apply for September admission? As long as all degree requirements are completed by August 16th, you can still apply for September admissions. If admitted, the offer would be conditional on the completion of your final year of full-time study with a mid-B standing and confirmation of degree conferral. I am in my final year and am looking to apply to the program. I have a couple of courses this year that are at the 200 level in order to fill needed requirements to graduate. Will these courses not be counted in the total? The GPA would be based on a full-course load of senior level credits, typically four or five full credits or equivalent, leading up to the awarding of your undergraduate degree. If it is necessary to go back to an earlier session, the Committee will review all the courses at the senior level in that particular session. The total application fee is $195. This covers the fee for both SGS ($120) and FIFSW ($75). How many reference letters need to be submitted for the MSW program? Can I submit more than the required number? Will the committee consider a letter that was written over two years ago? All references submitted must be current. If my referees only have email addresses provided by yahoo, gmail and hotmail, is there any alternative way for my referees to submit references online? If your referees do not have institutional email addresses, you will have to submit the reference in the traditional format. You or your referees can download the reference from our website. If you are applying to the two-year MSW Program or MSW Program with Advanced Standing, download the reference form found at: https://socialwork.utoronto.ca/admissions/msw/msw-application/ – Click on MSW Reference Form. https://socialwork.utoronto.ca/admissions/msw-itr/ – click on MSW-ITR Reference Form. Does an academic reference have to be specifically from a professor or can it be from someone that I do academic work for (researching, analysing, writing manuscripts by deadlines, etc.)? The academic reference should be from a professor who is able to comment on your academic ability. You should review our current reference form with the professor you are working with, and if they can comment on most of the areas, the reference should be acceptable. If not, we would recommend asking a former professor from your undergraduate program. The MSW application process requires three references, including one academic from a university course instructor. I have been out of university for just over two years, and the majority of my professors have moved on to other teaching/research opportunities or do not remember me. Can I substitute the academic reference with a professional reference within the social work field who are quite familiar with the knowledge and skills set it takes to effectively practice social work? If you feel strongly that you cannot submit an academic reference, it is recommended that you include a cover letter with your Resume, explaining your choice of referees. My referee cannot submit the reference by the application deadline specified. Can they still submit a reference? Yes: Referees will be permitted to upload the completed reference via the SGS online portal. I need to change a referee on my online application. How can I do this? Once this information is received and processed, you will be sent an email confirmation. I did not complete a full course load in my final year. How will my GPA be calculated? As an example, if you are only taking three courses from Sept – April, we will count back and include any summer courses you may have taken, and/or the previous Winter. In terms of how many credits – it must be the equivalent of a full-course load – minimum of four full credits at the senior level. All documents have been submitted, but my application still says Documents Pending”. When will this status change? If your application status states Documents Pending, but you have submitted all required documents do not be concerned. Once your file is reviewed, the status will change to Under Review. This should be finalized by the end of January for MSW Applicants. I missed the MSW Application Deadline Date. Can I still apply? When will decisions be mailed out regarding the MSW Program? Admission offer letters will be sent out from mid-February to mid-April. As decisions are mailed out, your status on the On-line application will be changed to Decision made. By mid-April all decisions will be sent out. I plan to apply and I’m currently in my final year of my bachelor’s program. I will send in the transcripts by the November 1st recommended deadline date, however, I am taking a number of half-term courses and grades will be available in late January. Can I send in an updated transcript at that time? Where do I send the transcript? 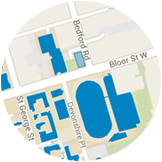 I completed my undergraduate and/or graduate degree at the University of Toronto (UofT). Am I still required to submit official and electronic transcripts? You are required to upload a scanned version of your UofT transcripts or academic history to the online application site. If you are a graduate from UofT from 1995 onwards, we will access your transcripts via ROSI and therefore you do not need to submit official UofT transcripts. I have received an offer of admission from the FIFSW. Can I defer my admission? We do permit deferrals of admission for one year only. I ordered my official transcripts and did not attach the mailing sheet. Do I have to resend the official transcripts? The mailing sheet is not required.